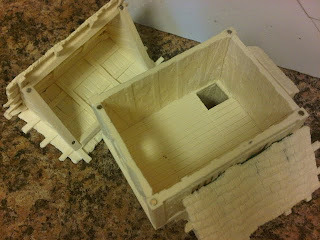 The resin house is coming along. 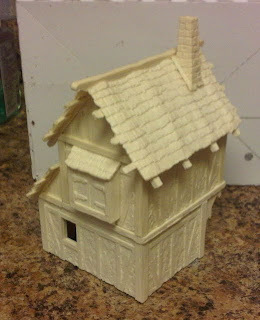 The finished house looks awesome, though putting it together has been a comedy of errors! First mistake - I put the second story on in the wrong direction so the two windows are partially blocked by the half roof. I fixed it by boarding up the windows. 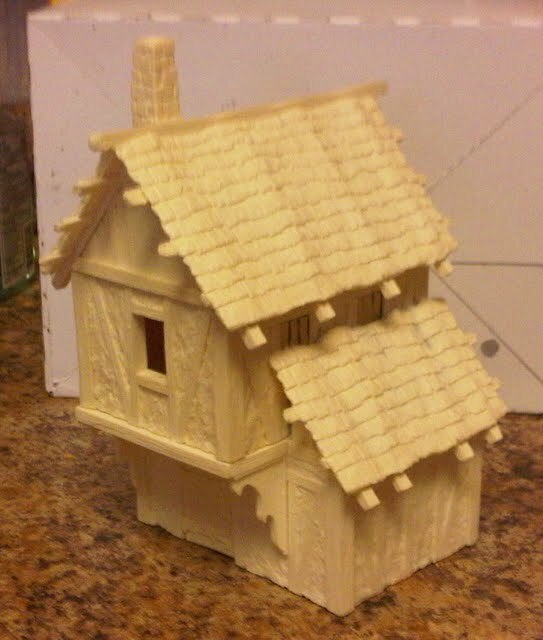 Second mistake - I magnetized the roof to the second story, it should have been magnetized to the 3rd story! I'm leaving this house as a two story and I will buy an additional 2 story which I will convert to a three story. To magnetize I put a magnets in each corner, but I offset one corner so I can easily figure out which direction the room goes on. Here is the finished house.